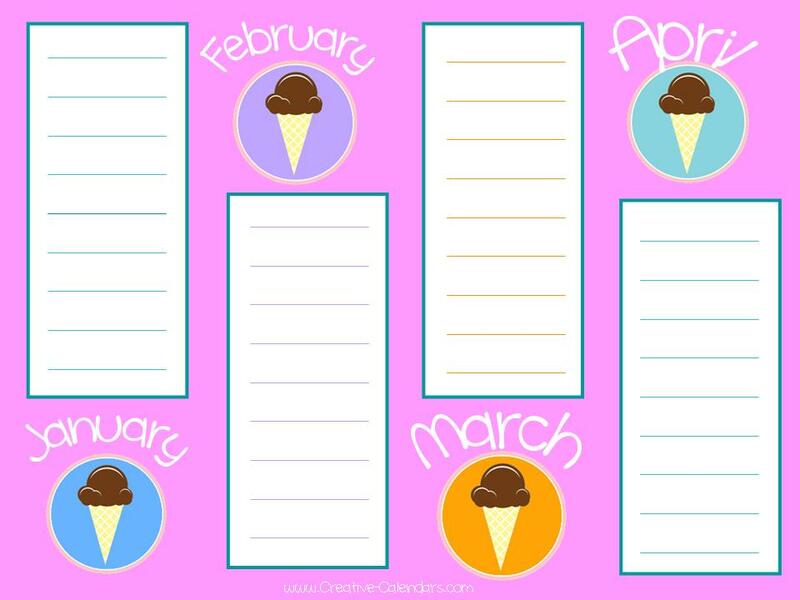 A selection of free printable birthday calendar templates that can be used forever to record birthdays and other important dates. 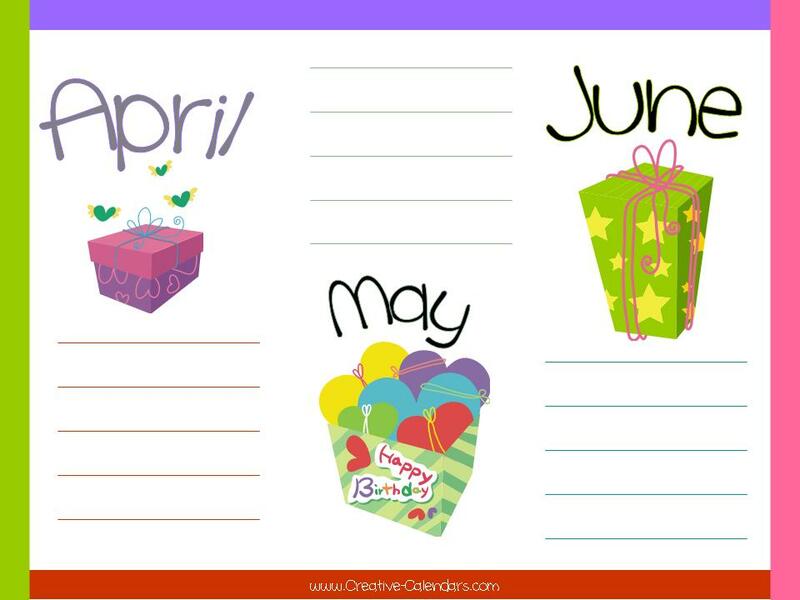 This birthday calendar template is printed on 3 pages (4 months per page). 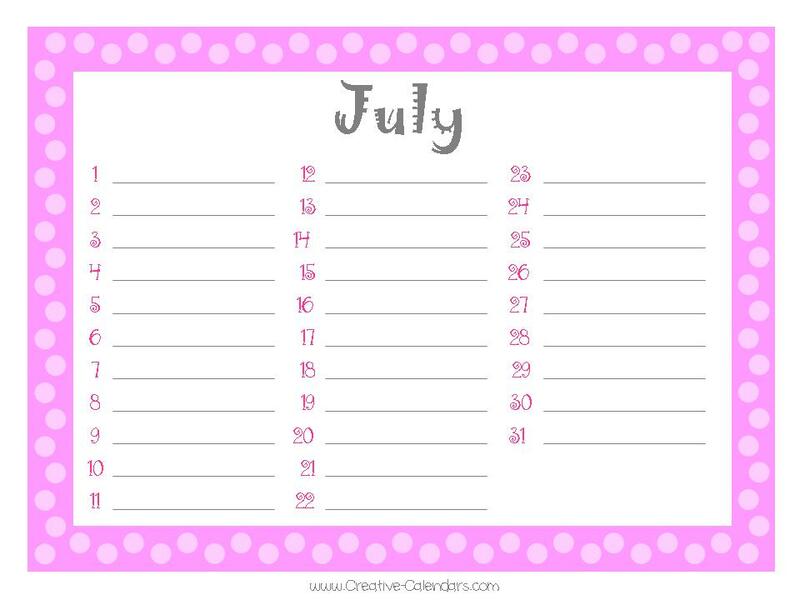 I made myself one of these printable perpetual calendars and I hung it on the inside of my cupboard doors. Every time I open my cupboard I take a look so I never miss a birthday, anniversary or any other special occasion. 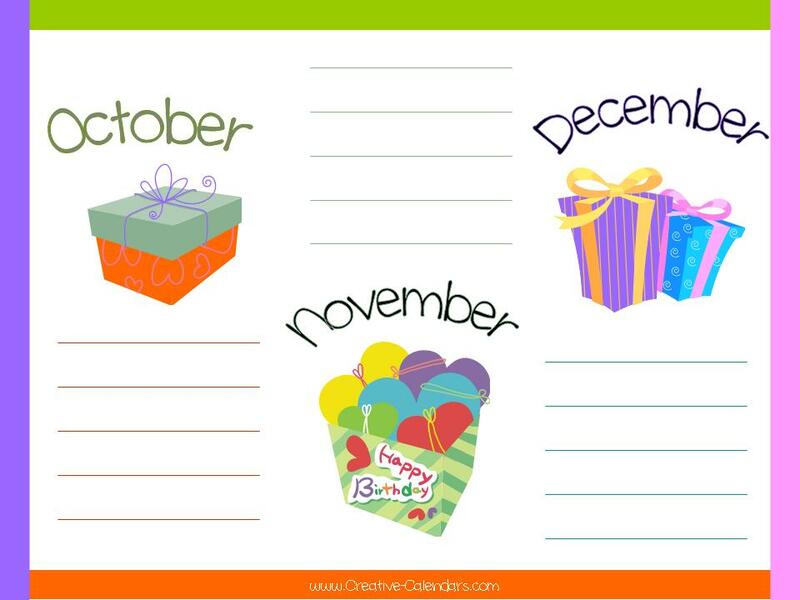 This birthday calendar template is printed on 4 pages (3 months per page). You can either print on both sides of the page or put two pages back to back and then have them laminated. This will keep them in excellent condition forever. If you want to write on the birthday calendar after it is laminated you can still do so with a permanent marker. There are many kinds available. 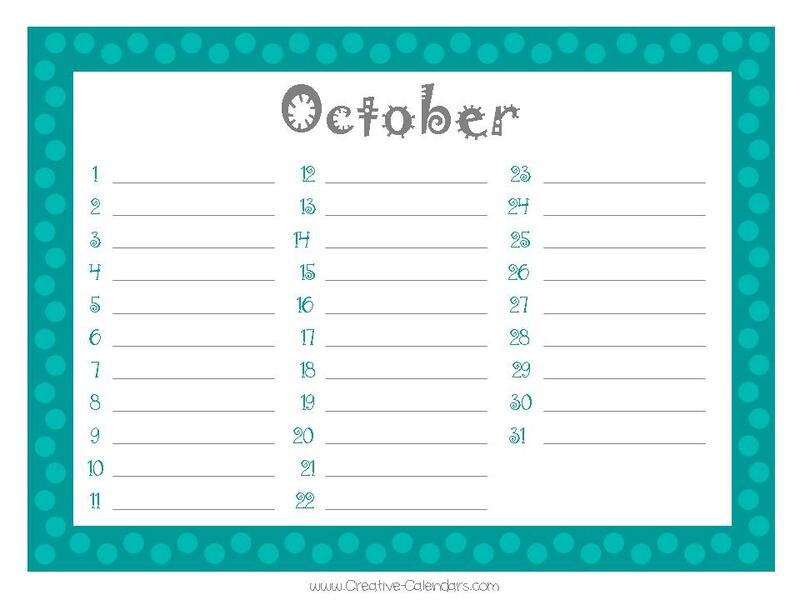 This free printable birthday calendar template will ensure that you never miss a birthday or anniversary. 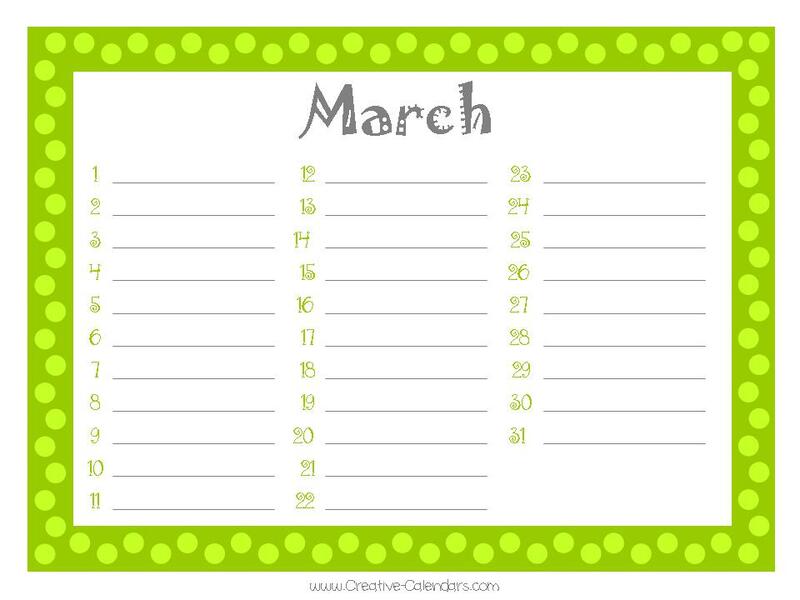 Click on the image to print the calendar. 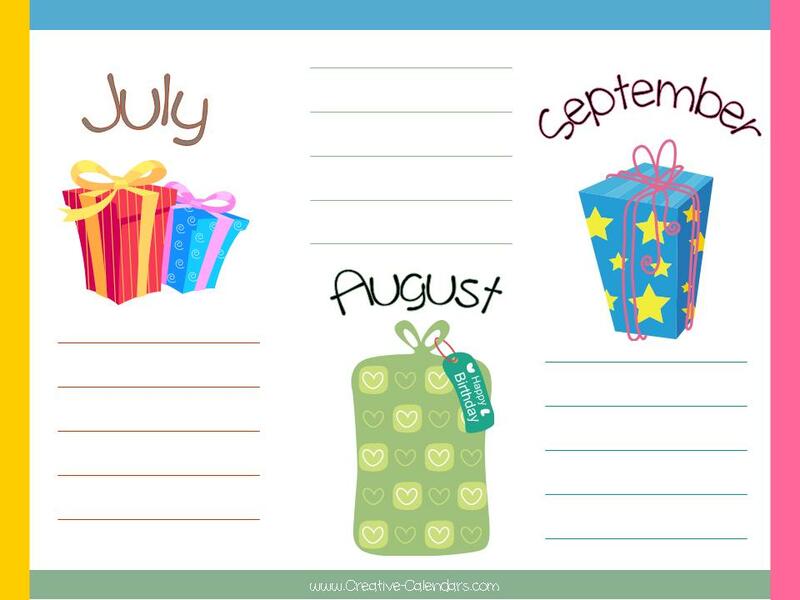 This printable birthday calendar has one month per page. 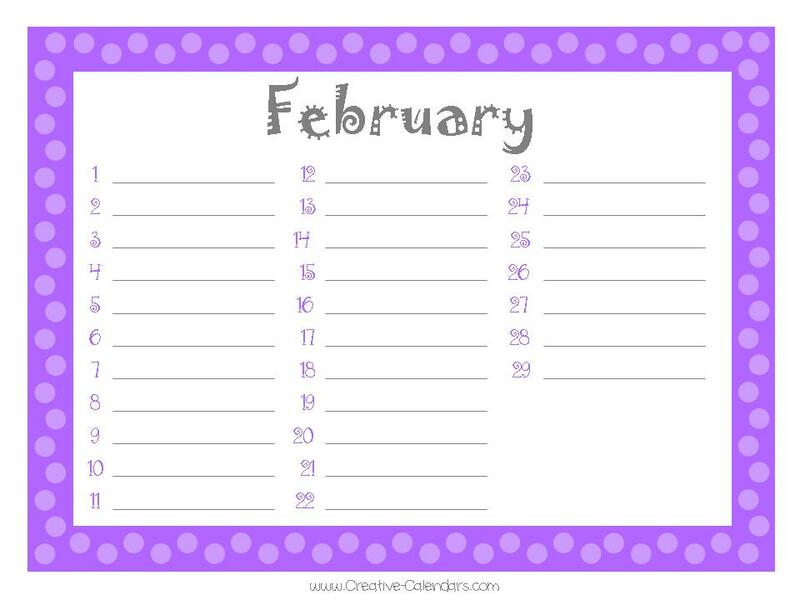 Once you have printed each page of the perpetual birthday calendar you can join them together to create a creative birthday book. Use a punch to make a hole in one of the corners or two holes on the side. Tie a pretty ribbon to keep the pages together. 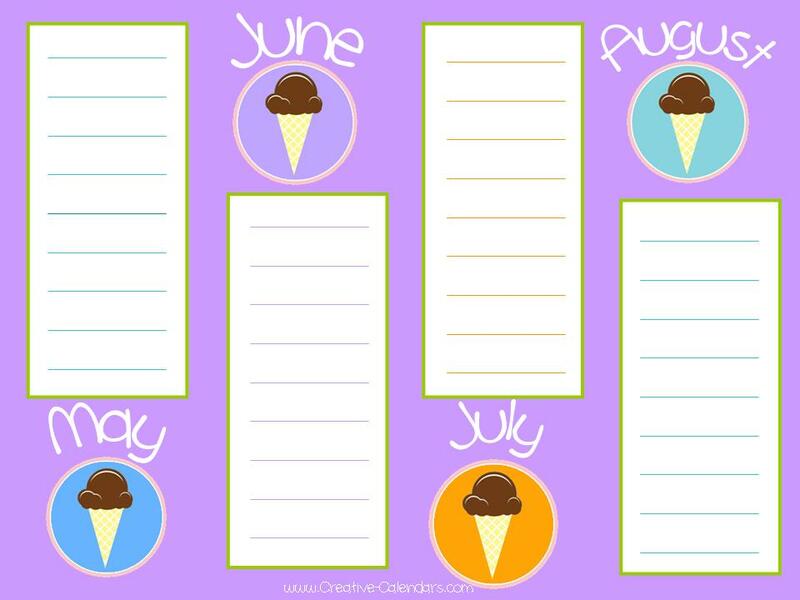 How to create a printable birthday calendar? 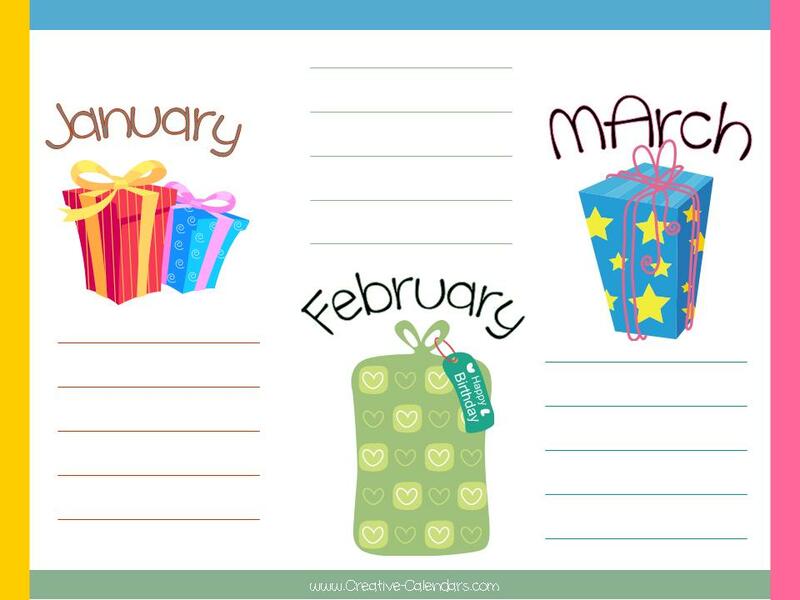 Choose one of the free birthday calendar templates above. They are all pretty similar in that they will all last forever but each birthday calendar template has a different number of pages (either 3, 4 or 12). 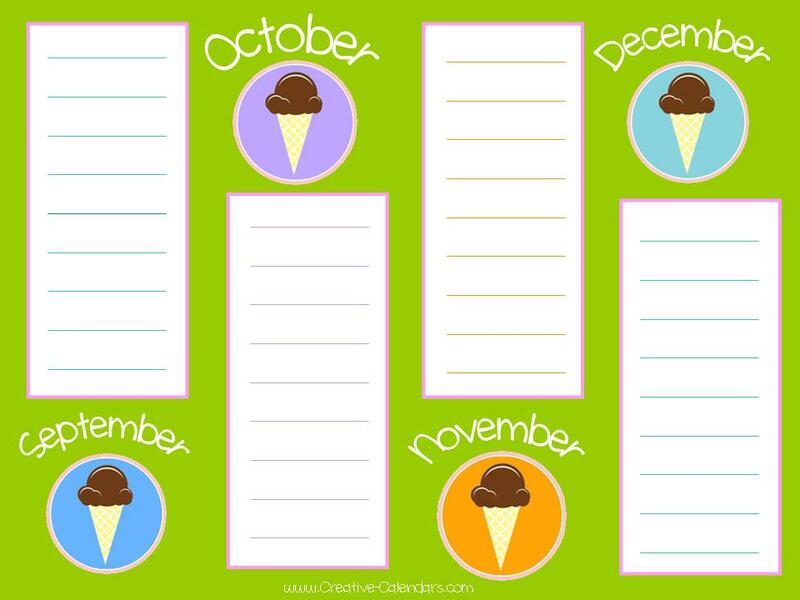 Decide if you are going to create a booklet or hang individual pages. If you want a booklet then you might prefer to print the 12 page version. 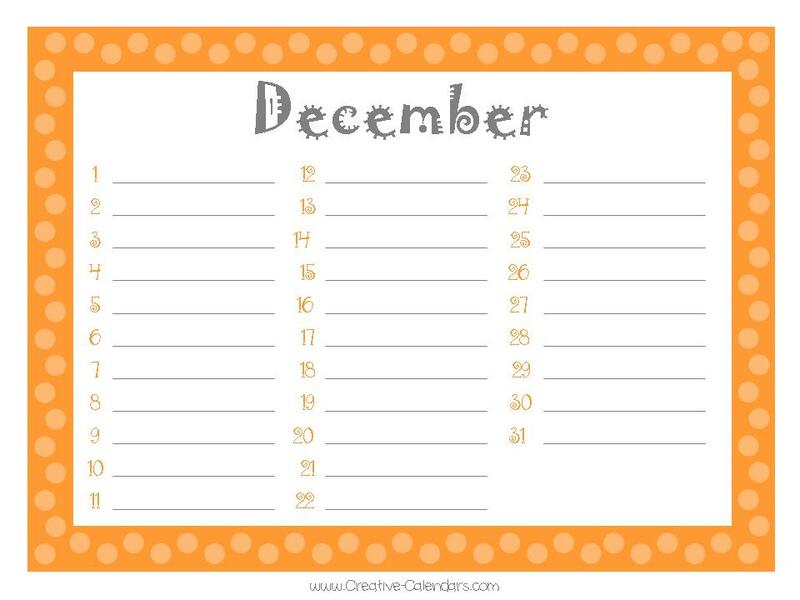 If you want to hang the calendar then you might prefer either the 3 or 4 page version. 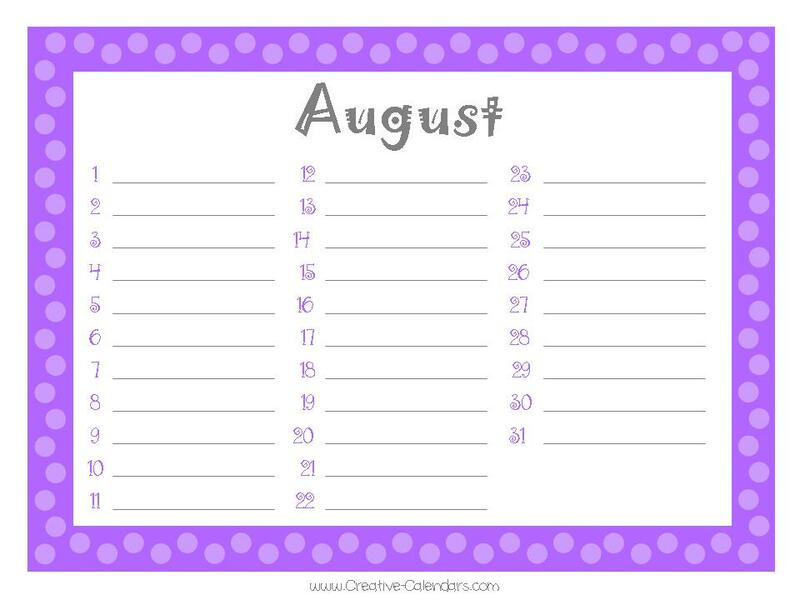 If you are going to hang individual pages then you can have them laminated before you hang them up. 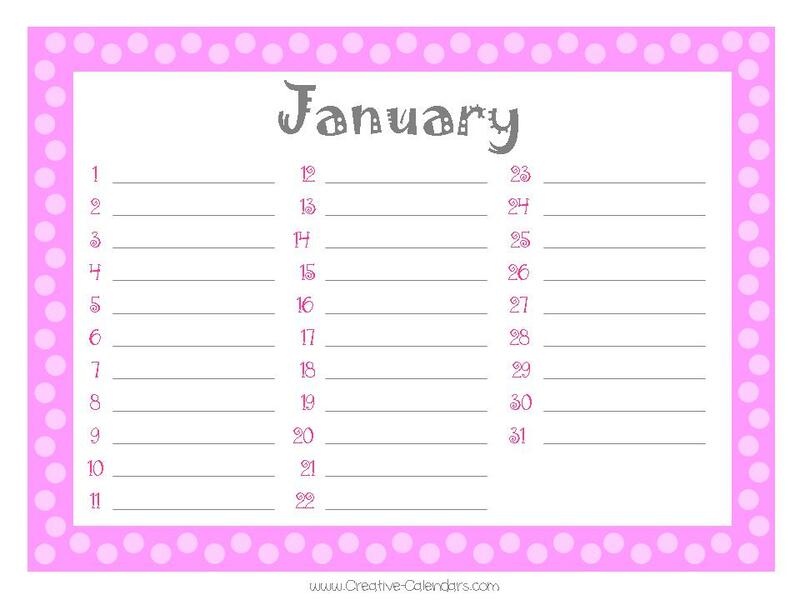 You can hang them in the inside of a cupboard door, behind your kitchen door, on your fridge or in your office. 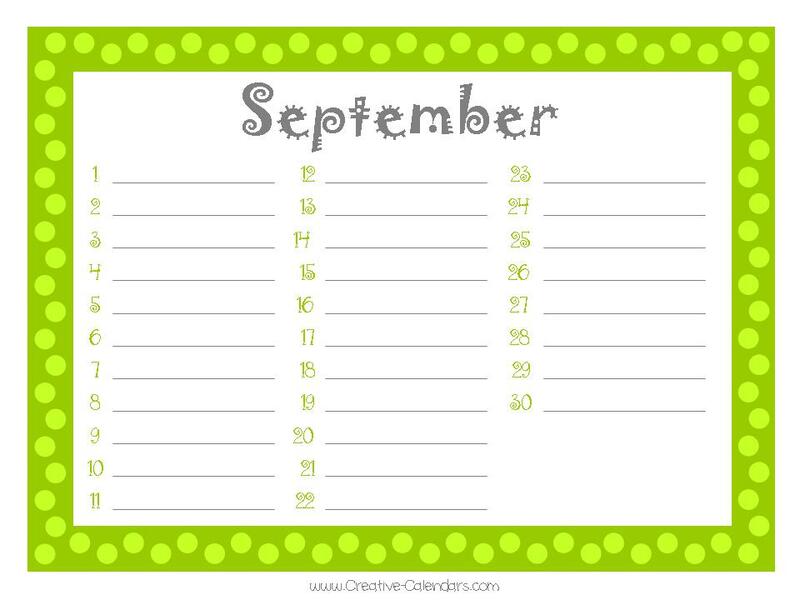 If you are going to make a booklet then decide on a method to join the pages. You can staple them together, you can have them bound at you local office supply store (probably only relevant for the 12 page version) or you can punch a hole/s and tie a pretty ribbon to keep the pages together. Write down all of the dates that you want to remember: birthdays, anniversaries or any other date that you need to remember each year.